Obtaining Social Security disability benefits requires persistence and dogged determination. The initial benefits application process generally takes four to six months. 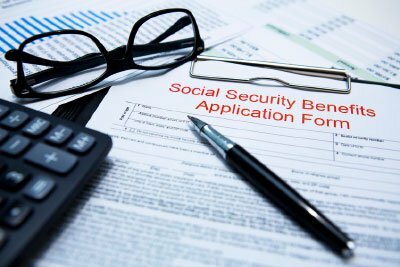 Social Security grants benefits to roughly 36% of initial applications filed. If the Social Security Administration denies your initial application for benefits, it will likely then take years before you actually receive disability benefits because you must go through a reconsideration process and then likely wait 16-20 months for an administrative hearing. At the hearing level, the Social Security Administration grants benefits to approximately 81% of claimants. Because you know your disabling conditions better than anyone, at Moore & Jensen we aim to expedite this process: we work with you to obtain crucial medical information often overlooked by the Social Security Administration. Further, if upon review of your medical file, one of our experienced attorneys concludes that enough information exists to find you disabled without needing to go to hearing, that attorney will ask Social Security to make a decision based on the record. Doing so may reduce time spent waiting for claim acceptance. Finally, in many cases we send the administrative hearing judge a pre-hearing brief that explains why we think you are entitled to disability benefits. This may give the judge a different perspective of your case; judges will often quote a pre-hearing brief when writing a decision granting benefits. Filing a successful SSD or SSI claim takes time and often requires a dedicated legal representative. Because Moore & Jensen attorneys have over 30 years of experience helping Oregonians obtain Social Security Disability benefits, we are well-equipped to fight for your benefits claim. If you have filed a Social Security claim or have questions regarding Social Security disability law, please contact our office to schedule a free initial consultation.